Click here to continue to the SleepInn&Suites web site. 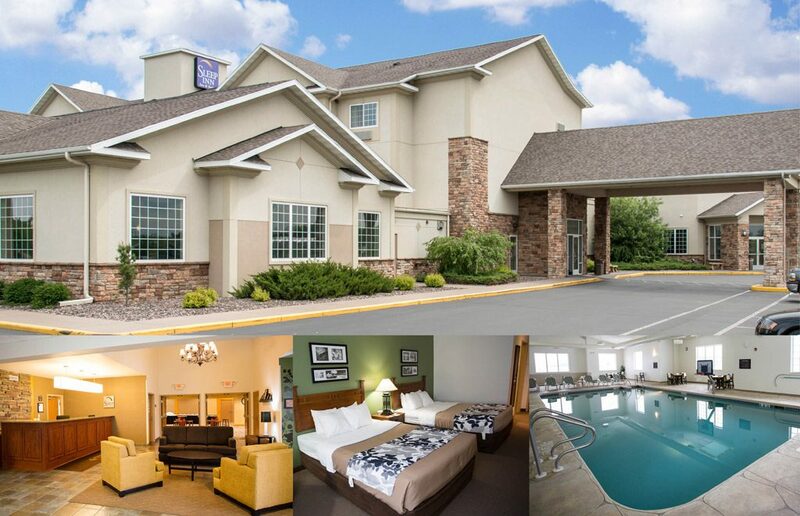 Located withing Eau Claire Travel Center the Sleep Inn & Suites Conference Center is conveniently located just off Hwy 29, north of Eau Claire. Sleep Inn & Suites Conference Center is one the newest hotel and conference center in the Chippewa Valley. Our hotel offers warm hospitality, an inviting atmosphere and top-notch services that are sure to please both business and leisure travelers. Here at our hotel in Eau Claire, WI, your options are endless. We can make your stay away from home feel like you never left. With 72 spacious, comfortable, and affordable rooms and whirlpool suites, we are the areas only full service hotel. Regardless of your reason for visiting the area, stay at the Sleep Inn & Suites Conference Center for an enjoyable experience. Planning your wedding, company party or family reunion?